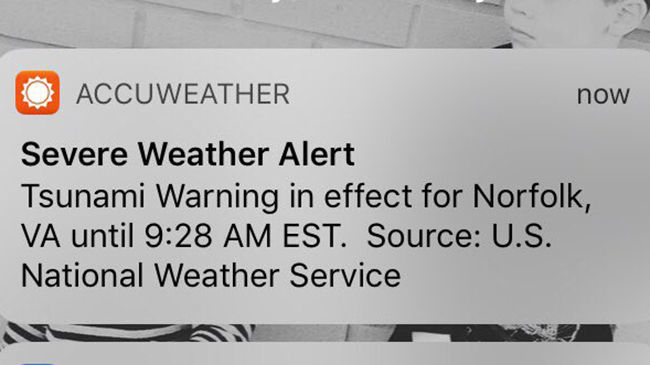 In theory, a very rare event could generate a tsunami (formerly called a "tidal wave"), displacing water in the ocean and creating a sudden surge as much as 10-25 feet high on Virginia's eastern coastline. 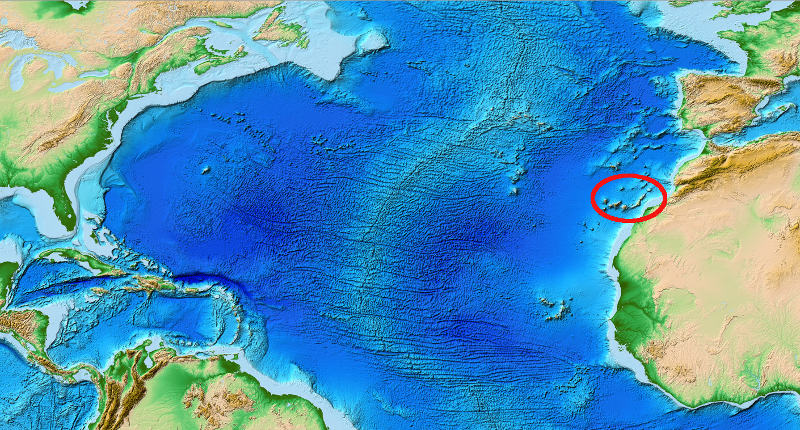 The risk of Virginia being affected by a tsunami is considered very low, but the disastrous December 2004 tsunami in the Indian Ocean caused people to pay closer attention to the threat. ...decided to pursue the federal TsunamiReady certification, even though he admits the odds are better for him to hit the Mega Millions lottery than for a tsunami to strike Hampton Roads. "I went after it because of the potential there would be some federal funds available," he said. Then again, in his business, he said, you can't be too careful. "Norfolk applying for the TsunamiReady program might sound a little farfetched," Talbot said, "but if something would happen, we have procedures in effect and know what to do." Preparing for unexpected tsunamis would help prepare for storm surges associated with expected hurricanes. In addition, the risk to Norfolk is greater than zero. Tsunamis have struck the western edge of the Atlantic Ocean, north and south of Norfolk/Virginia Beach. Such a worst-case scenario involving an impact and tsunami has occurred at least once, in what is now Virginia. A bolide (comet/meteorite) hit the Atlantic Ocean 35 million years ago. It instantly created a massive crater near what today is Cape Charles on the Eastern Shore, and triggered a wall of water that raced across the Coastal Plain and Piedmont and caused massive devastation to forests and wildlife. It is likely that the tsunamis reached and possibly overran the Blue Ridge Mountains. The makers of the Hollywood sci-fi movie Deep Impact created a climactic final scene where a meteor struck the Atlantic Ocean off Virginia Beach. Hollywood altered geographic reality to enhance the dramatic scene at the end of the movie, where people trapped in a traffic jam were swamped by waves as key characters raced up the mountain slopes. That scene was filmed on the Route 234 bypass in Prince William County, which was then under construction. There are no such mountains near Virginia's coastline, and the closest hill is a former landfill in Virginia Beach known as Mount Trashmore. Another clue that the "movie mountains" in Deep Impact were not in Virginia is that they were covered by ponderosa pines. That species grows only west of the Mississippi River, so the scene where characters raced away from a tsunami was not filmed anywhere in Virginia. Bolide impacts are very rare events, with no predictable pattern for re-occurence. 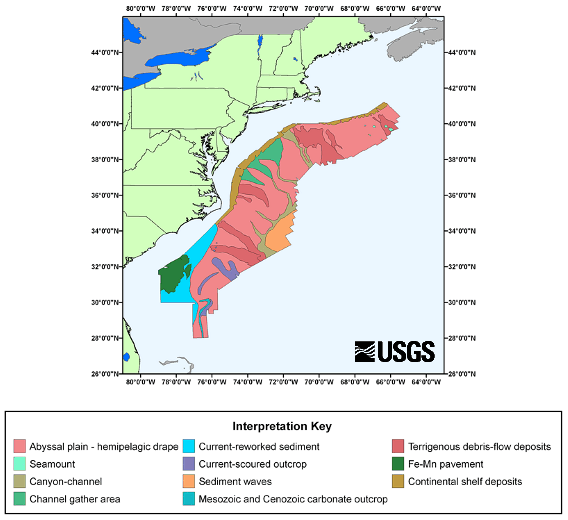 The Chicxulub event 65 million years ago and the Chesapeake Bay impact 35 million years ago created dramatic impacts, but the Tsunami Ready program anticipates a tsunami created by an earthquake and/or underwater landslide has a higher statistical probability. 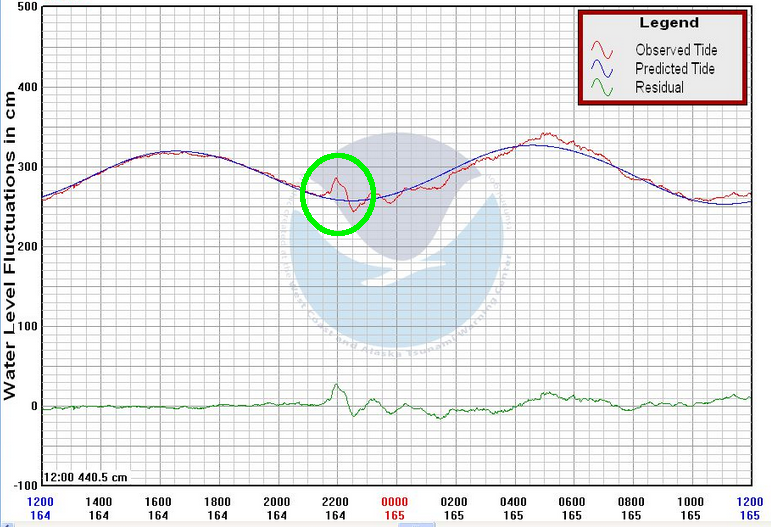 On June 13, 2013, a storm (derecho) off the coast of New Jersey or an underwater landslide triggered a minor tsunami that was clearly observed on the Atlantic Ocean shoreline. A breakwater that is normally 3-4 feet underwater was exposed, and three people were swept into the ocean from rocks that were 5-6 feet above sea level. 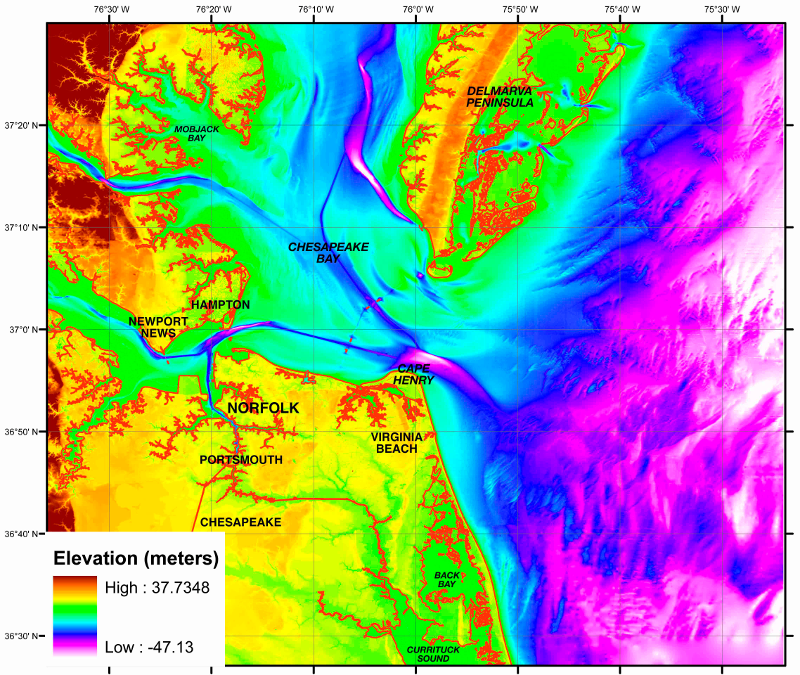 In 2000, a scientific study of cracks at the edge of the coastal shelf suggested how a damaging tsunami could be generated near the Virginia coast, despite the small number of earthquakes in the region. Landslides occur along the continental slope, initiated by earthquakes and "mass wasting" of excessive accumulation of sediments on the continental slope. 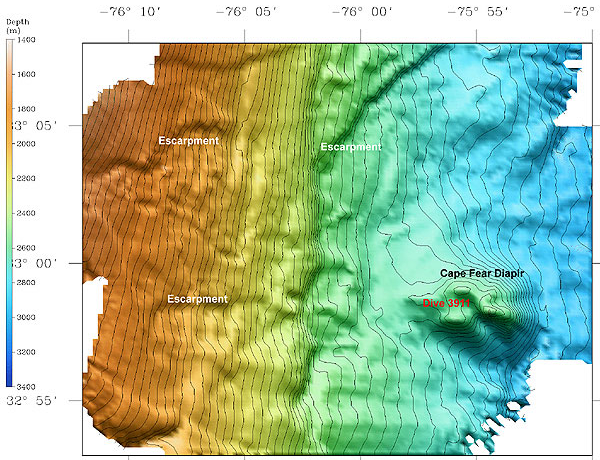 Sonar has documented numerous underwater landslides off the East Coast, along the edge of ravines that rivers carved into the shelf when water levels were lower. Massive slides include the Albemarle-Currituck Slide, Cape Lookout Slide and Cape Fear slide. Another unlikely risk is that the Cumbre Vieja volcano in the Canary Islands could collapse. Lanslides and earthquakes do cause tsunamis that affect shorelines far away. 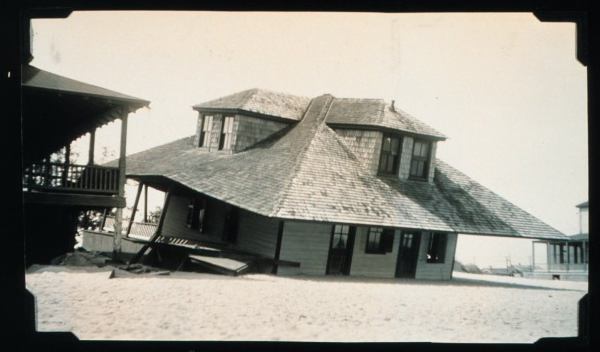 The 1964 Alaskan earthquake created a killer tsunami far away at Crescent City, California. An underwater quake near Indonesia in December, 2004 created a tsunami that killed people all the way across the Indian Ocean in Kenya. In a worst-case scenario such a landslide could generate a 10-25 foot high tsunami on the Virginia coast on the other side of the Atlantic Ocean. If the flank of the volcano moved as a coherent block in a rapid mega-landslide, it might generate the sort of mega-tsunami that Hollywood shows in disaster movies that portray the destruction of New York City. While the active volcano of Cumbre Vieja on Las Palma is expected to erupt again, it will not send a large part of the island into the ocean, though small landslides may occur. The Discovery program does not bring out in the interviews that such volcanic collapses are extremely rare events, separated in geologic time by thousands or even millions of years. No such event - a mega tsunami - has occurred in either the Atlantic or Pacific oceans in recorded history. NONE. 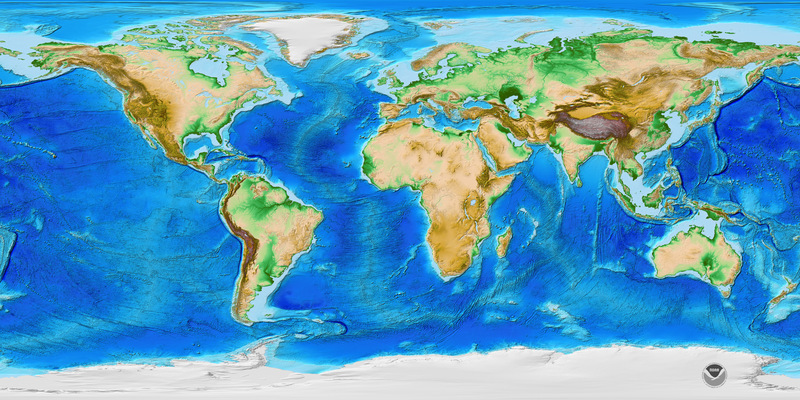 There is no subduction zone along the U.S. Atlantic Coast, and earthquakes are not as large or as frequent as in other regions. 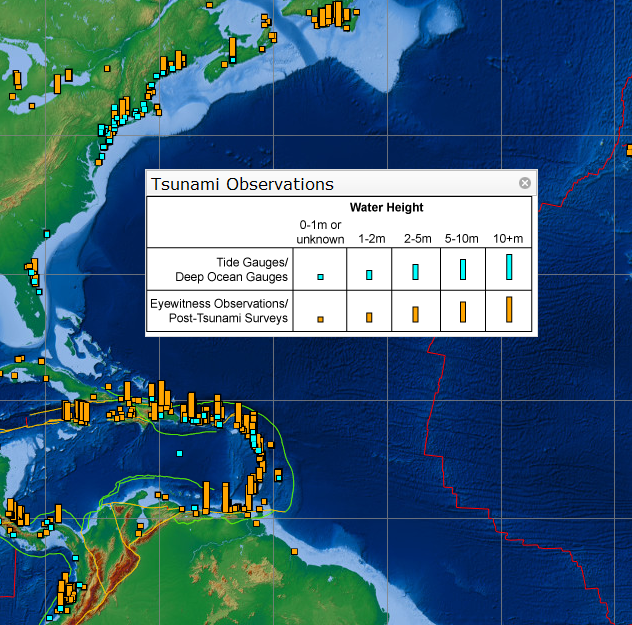 Underwater landslides and meteotsunamis are the most likely source of tsunami waves in the region. More distant tsunami threats come from the Puerto Rico trench, the Canary Islands, and the Azores–Gibraltar fault zone. Potentially, warming of methane hydrates (natural gas) now buried in ice crystals in coastal shelf sediments could "bubble up" if warm ocean currents shift location. The gas is frozen, for now. The potential of a tsunami generated by a volcano collapse in the Canary Islands, an underwater earthquake or landslide, or the release of a gas bubble catches the attention of those intersted in rapid, catastrophic change. The greatest flooding threat to Hampton Roads is from a storm surge associated with a hurricane, and the risks of such flooding increase as sea level rises. 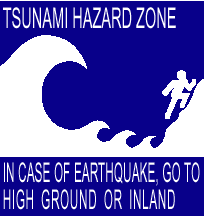 Storm surges are a clear and present danger, while tsunamis caused by landslides or collapsing volcanoes are a much smaller risk. Disaster management specialists still plan for a tsunami because one could have a devastating impact on Tidewater Virginia, while they take advantage of Tsunami Ready funding to prepare for the greater risk of storm surges.